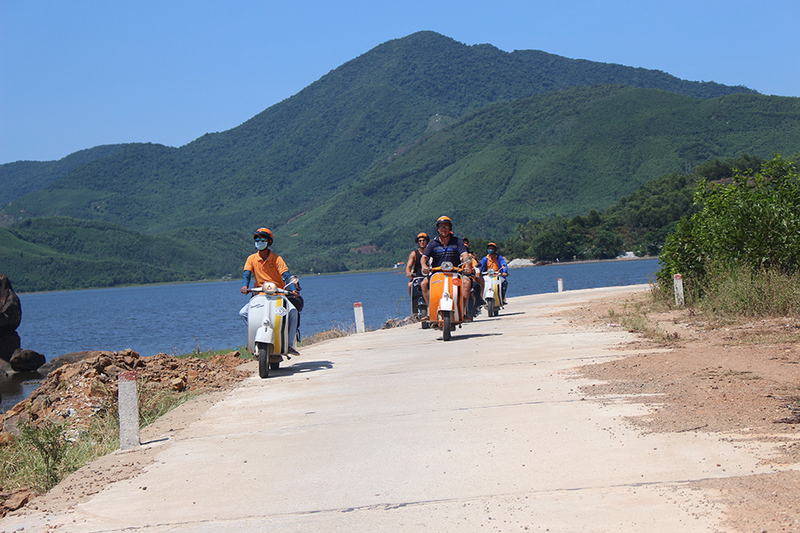 This all-inclusive 7 day, 6 night adventure package starts in Hoi An, Central Vietnam and will bring you throughout the stunning mountains, beaches, and more. 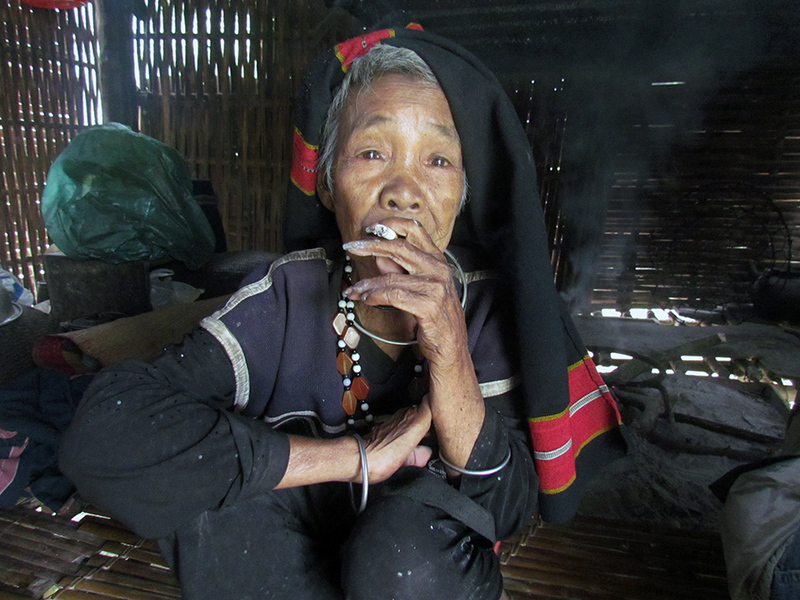 Meet the hill tribes of the mountains, and hit the Ho Chi Minh Trail. Stay overnight in a moutaint-top national park, and complete the tour with a ride along the famous Hai Van Pass, as featured in Top Gear, to make your holiday in Vietnam unforgettable. Are you ready for The Ride Of Your Life? 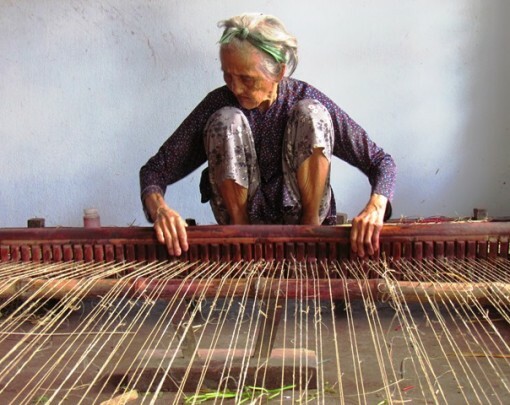 This 7 day package tour will show many aspects of Central Vietnam’s culture, scenery, and flavours. 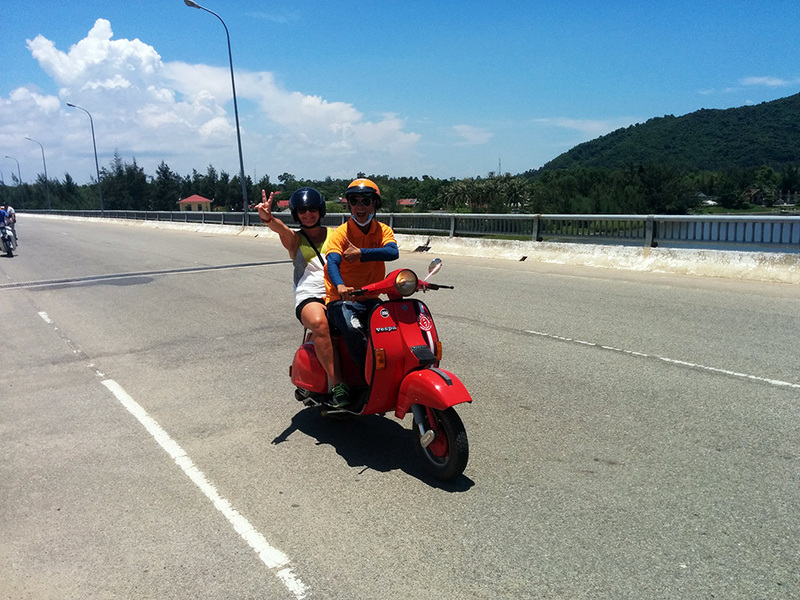 From Hoi An to hill tribes to the Ho Chi Minh Trail, and finally with the famous Hai Van Pass. This package tour includes all accomodation and meals, so don’t worry about planning a thing. Accomodation includes 1 night in 4 star hotel, 3 nights basic hotels, and 2 nights deluxe ocean view 5 star room. Tour also provides support van, so don’t worry about packing too much! All guests are provided with drivers, unless requested to drive. 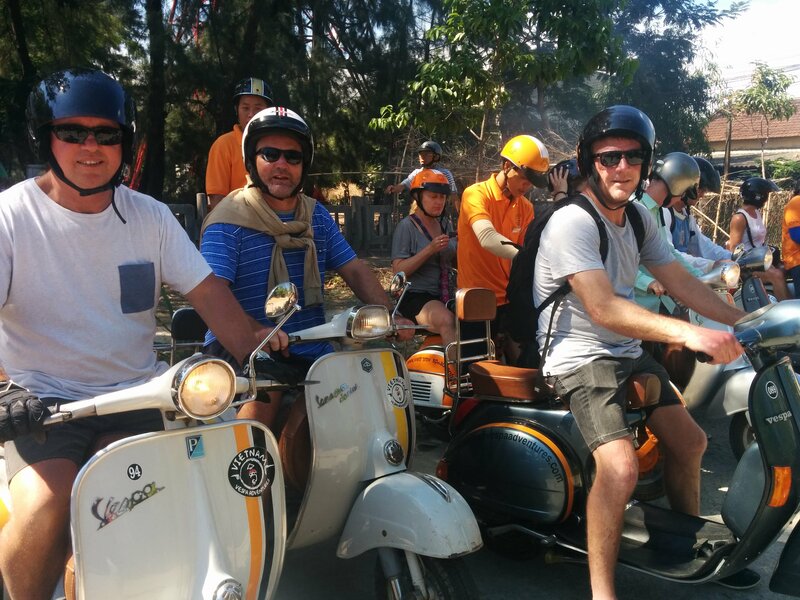 If you would like to drive we will give a short Vespa orientation on the first day in Hoi An. A minimum of 2 guests is required for this tour. Not bookable from October-January due to the seasonal weather. 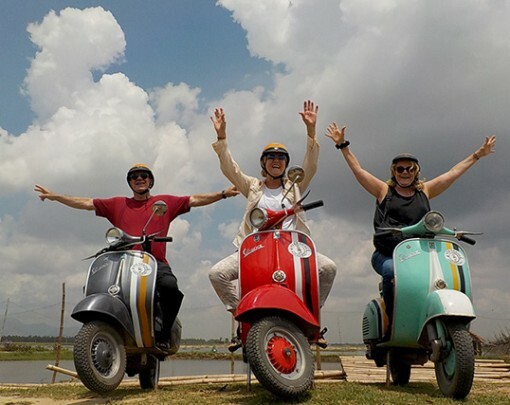 Enjoy an easy going morning riding on our vintage Vespas through the rice paddies and meeting local families in the stunning rural areas around Hoi An with our Countryside & Islands Explorer tour. We’ll see how local crafts and snacks are made, as well as see the province’s longest bamboo bridge. End this tour with a delicious seafood lunch on a local beach, then head back to the hotel for a rest before the night. 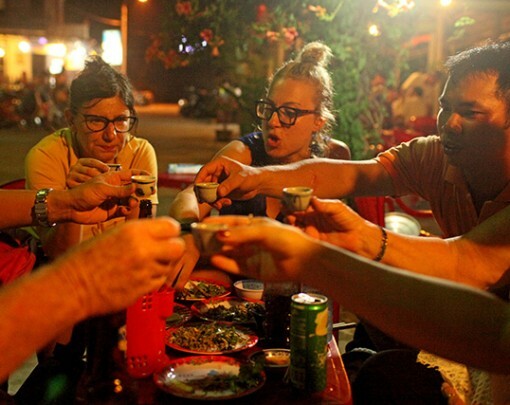 In the evening, taste the flavours of Hoi An with our Streets & Eats tour. Dining on everything from street food to high end cuisine, this food tour will show the many aspects of Hoi An which is known for being a foodie town. Stay overnight in our provided accomodation before embarking on an adventure throughout Central Vietnam. After a local breakfast and Vietnamese coffee, we will hit the Ho Chi Minh Trail, one of our favourite stretches of road. The Ho Chi Minh Trail was important for shuttling supplies for the Viet Cong during the war. 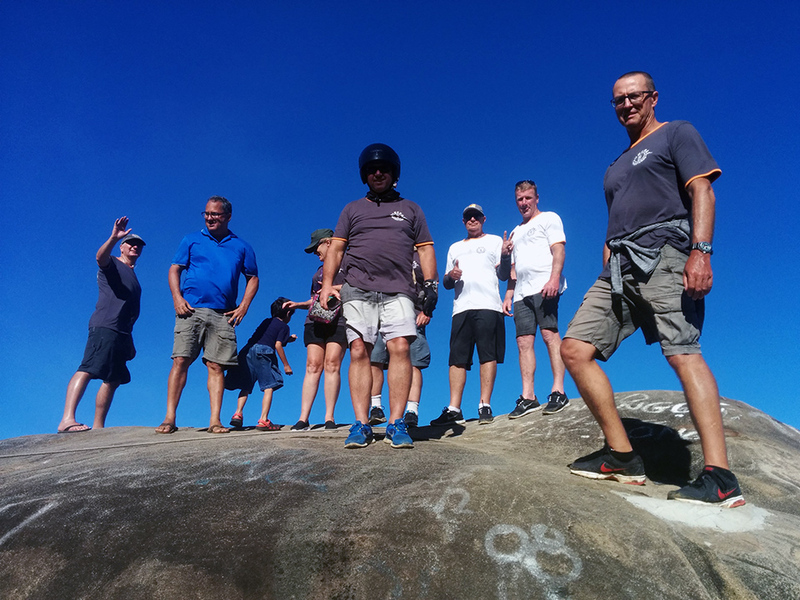 We’ll visit another hill tribe and stop at scenic viewpoints along the way to a gorgeous waterfall where our on board chefs will create a tasty BBQ lunch. 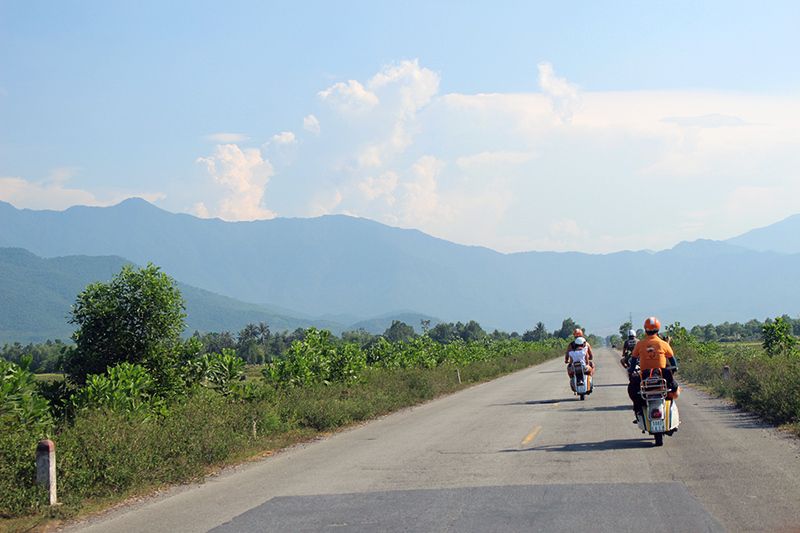 We then ride along some spectacular mountain roads close to the Laos border, visiting a cinnamon plantation en route. Heading back down, we stop at a bee farm and rubber plantation, and then for a well deserved coffee just 4km away from the Laos border. Then we’ll make our way to A Luoi through the lowlands & villages. Once we’ve arrived, we check in to our guest house – and we’ll have a dinner party! 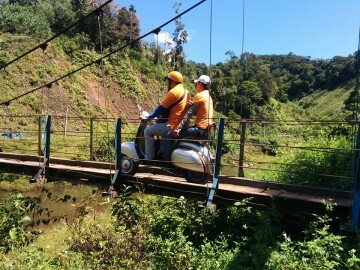 **Highlights – Ho Chi Minh Trail, a spectacularly good road for riding, Co Tu Hill Tribe Village, Waterfall excursion with BBQ lunch, cinnamon plantation, Bee Farm, Rubber Plantation, local cafe near Laos border, A Luoi dinner party, overnight in a local guest house. Today we will make our way to Hue through hills, valleys, and rice paddies. 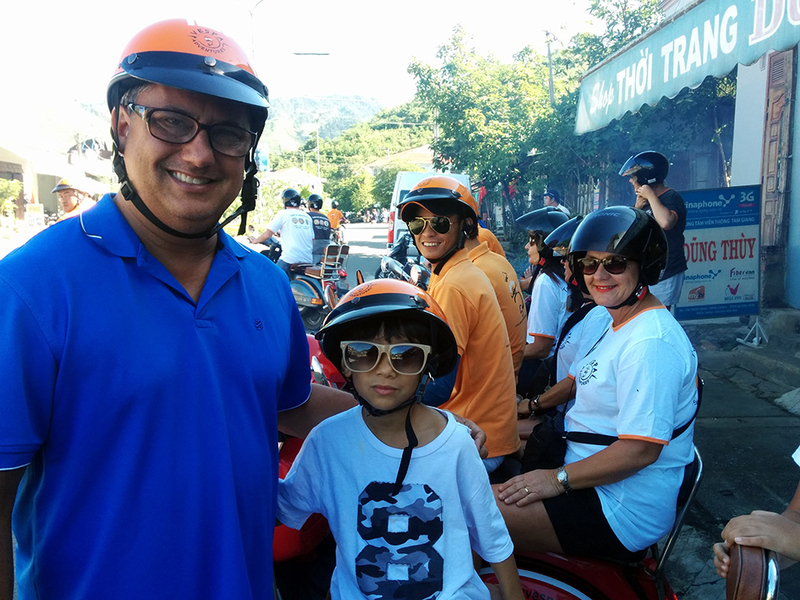 Along the way, we’ll stop to see a rubber plantation, a bee farm and ride through ethnic village areas of the Ta Oi ethnic minority tribes, before having a local coffee. Then it’s a short ride to Hue, over the river and on to a stilted restaurant for lunch. Check in will be early/mid afternoon so you can have the afternoon at leisure. at your hotel. In the evening, we’ll dine at a busy moat-side restaurant near the Citadel in the heart of Hue. **Highlights – Beautiful scenery of hills & valleys, rubber plantation, Ta Oi hill tribe, stilted restaurant for lunch, moat-side restaurant for dinner, stay overnight in Hue. Today will be full of exploring Hue. This ancient former capital city is packed with culture and history, so we’ll start off visiting the famous Citadel and it’s magnificent grounds. 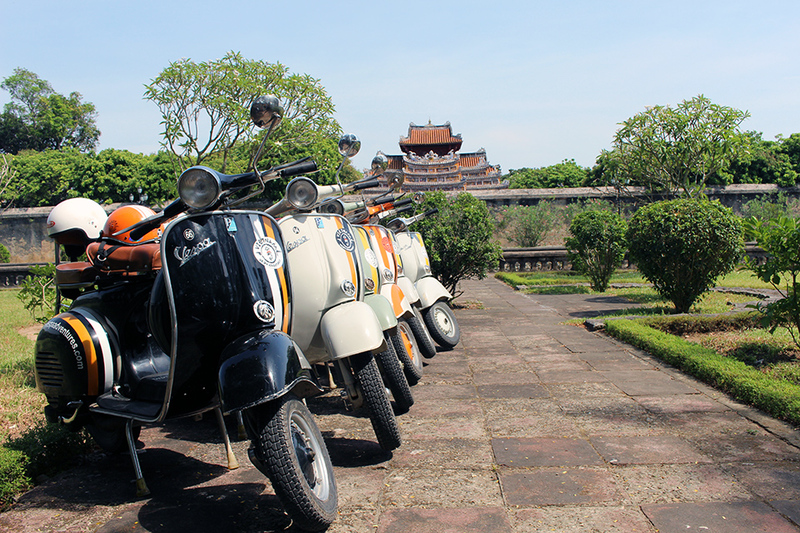 Then we head out to visit some of the famous Hue tombs outside of the city. For lunch, we’ll enjoy some Hue speciality dishes, and afterwards venture out into the countryside to take in the sights, heading back to the hotel mid afternoon. Our beautiful dinner venue is a stilted restaurant over the lagoon for an incredible seafood experience and some cold beers. **Highlights – Citadel, tombs, countryside, classic Hue specialites lunch, seafood dinner at stilted restaurant, stay overnight in Hue. After breakfast at the hotel, we’ll begin our coastal adventure. Driving to Bach Ma, we’ll experience some great views, stop to see some of the thousands of family temples & ancestral houses, visit cottage businesses like fish sauce makers and boat building. 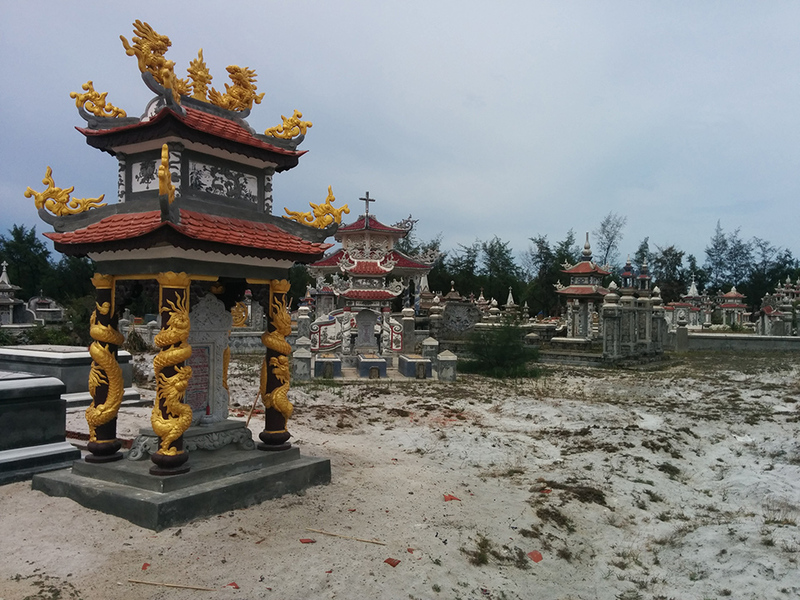 We will learn about the history at a Cham temple and learn about the religious traditions with a visit to the “City of Ghosts”. 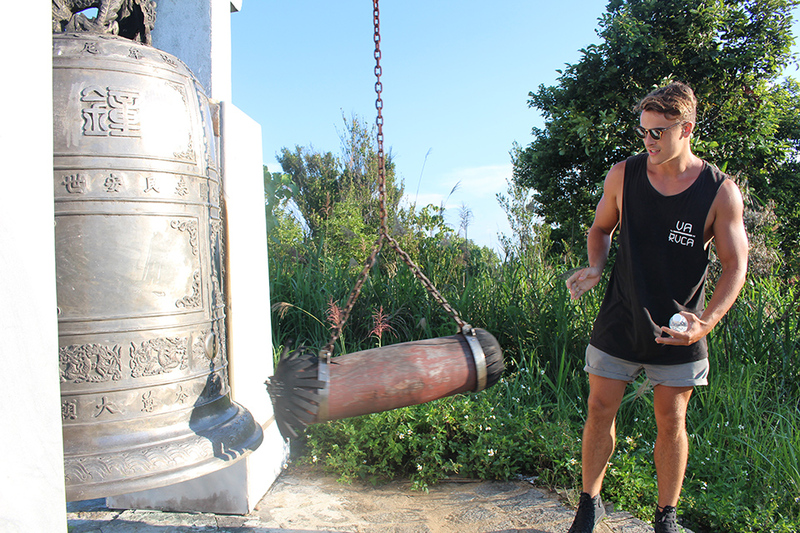 We head up to a hilltop Buddhist pagoda where there’s a stunning view of the lagoon and the East Vietnam Sea, and shortly after, we’ll eat lunch a short distance from the bottom of Bach Ma National Park. Then it’s up the mountain we go. Unfortunately motorbikes are not allowed for this part of the journey, so we’ll take four wheeled transport! Once we’ve checked in to the hotel, we will take a short 30 minute hike to the top point of Bach Ma for a breathtaking view of the surrounding lakes, mountains, lagoons, and beach. After heading back down, for dinner, we’ll enjoy another local dinner in the tranquility of the National Park. Stay overnight in Bah Ma and prepare for the famous Hai Van Pass on the final day of this Central Vietnam package tour. **Highlights – Family temples, ancestral houses, cottage industries, Cham temple, “City of Ghosts”, hilltop pagoda, top of Bach Ma, stay overnight at Bach Ma. After a local breakfast at Bach Ma, you will have the option to join in on a trek to Five Lakes Waterfall where we will have a swim in the refreshing pools. Please make sure to wear your swimsuit and good hiking shoes/sandals for this. After the waterfall excursion, we’ll head out of Bach Ma and stop at the oyster farms and see some stilted houses over the lagoon. Lunch will be enjoyed near the lagoon. 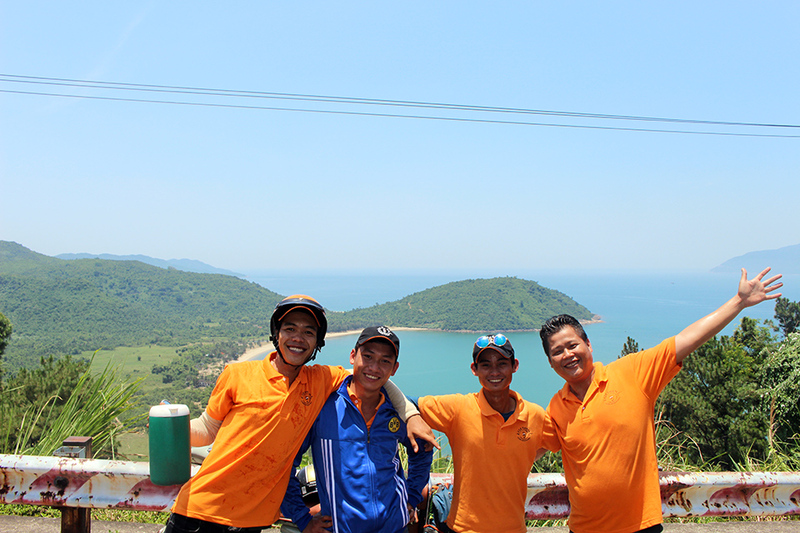 Heading up, we take a brief stop to take in the amazing view of Lang Co Beach & Lagoon from near the level crossing. 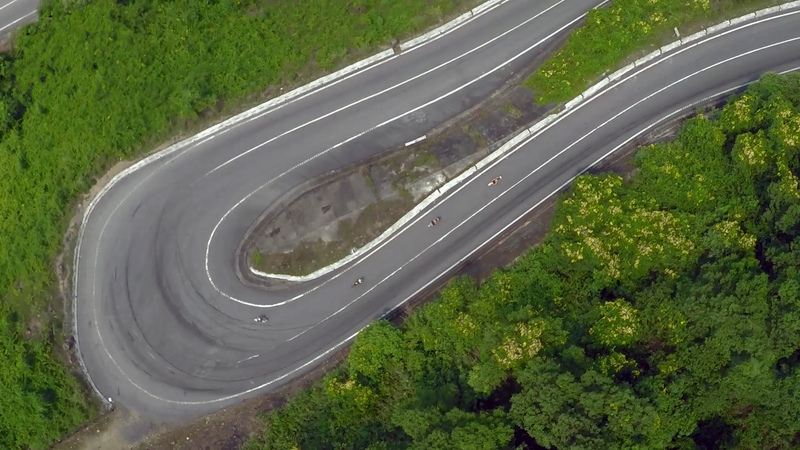 Then it’s up the famous Hai Van Pass for fun hairpin bends and windy roads, stopping at the top to see the old battlements and bunkers. We then head all the way down, along Da Nang Bay and over the Han River to Da Nang Beach – for a rooftop drink with incredible views of Da Nang. 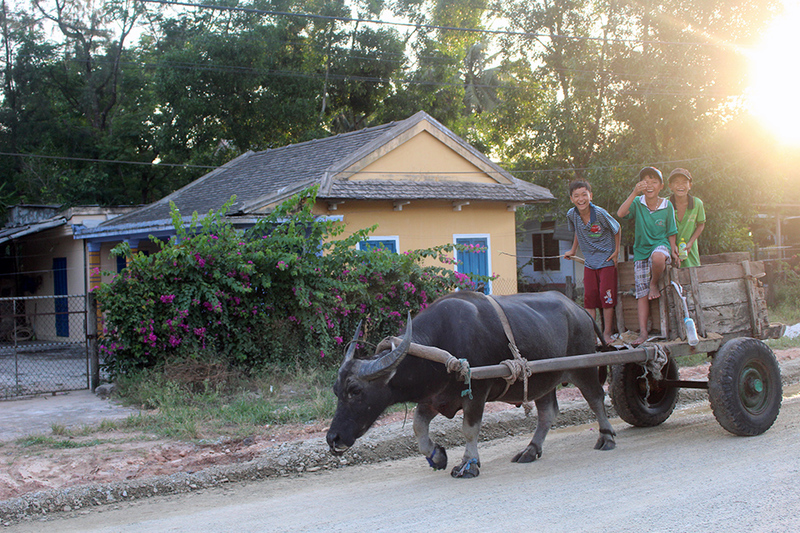 The day, and tour will conclude in Hoi An with drop off at your hotel. **Highlights – 5 Lakes Waterfall excursion, Lang Co Lagoon, oyster farms, stilted houses, local lunch near lagoon, Hai Van Pass, Da Nang suspension bridge, rooftop drinks in Da Nang.